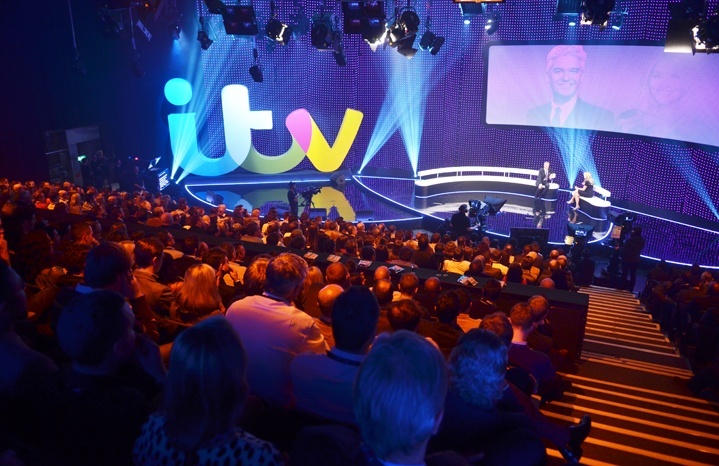 The beginning of this year saw ITV launch a major rebrand that rolled out over all of its five UK television channels, in addition to its web presence and on demand services such as ITV player. 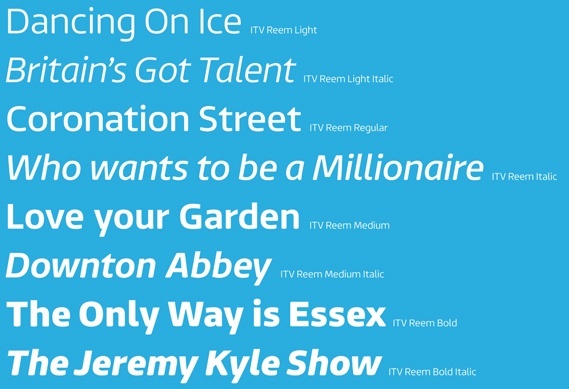 Produced by ITV Creative, ITV’s in-house creative team, in collaboration with Matt Rudd and typographers Fontsmith, who have worked previously on Channel 4 branding projects amongst projects for other household names, the rebrand includes a new four-weight sans serif typeface ‘ITV Reem’. 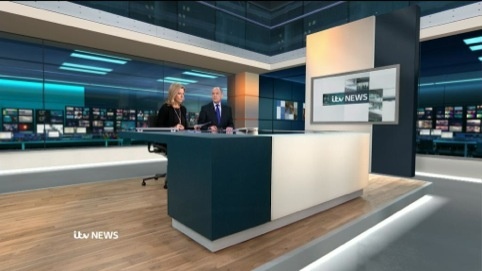 Three months on, the ITV rebrand is still a major talking point in the Ultimate office. With 55% of the team in favour of the new brand, ITV and co have us decidedly divided. Admittedly, I was the first off the mark to give it a trashing, openly expressing my disappointment, especially regarding the colour choices. On first appearances, they feel childish; olive green and turquoise with a lump of black sandwiched between them? It seemed to me that the new identity would be better suited for CITV rather than a media brand trying to position themselves “at the heart of popular culture”. 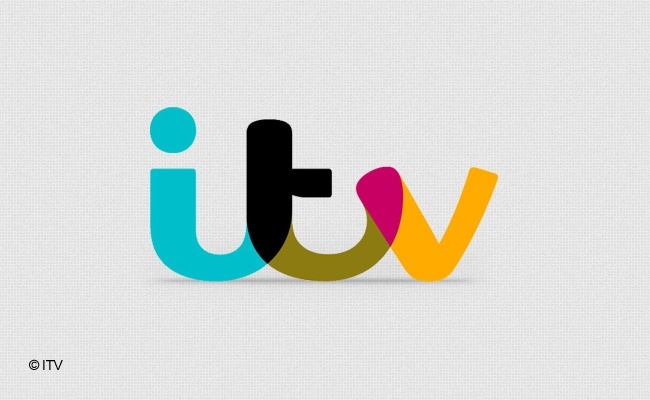 Matt Rudd of Rudd Studio said of ITV’s identity: “I wanted the ITV logo to get off the fence and stand for something”. His new logo has definitely achieved that. Where as previous iterations of the ITV brand have lacked any sort of personality and dynamism, the new identity is expressive and friendly with its handwritten lowercase letterforms. It’s only after reading about the creative process he went through, that I can begin to appreciate the choices he made. This thought process is shown in Rudd’s initial scribbles, which I have to say I prefer to the finished logo. And on seeing the unfinished version of the final identity scribbled onto Rudd’s pad, it struck me that I quite liked this version of it.So then, what is it about the final brand that I dislike so much? For me, it is the hideous colour palette that reminds me of the way a child chooses which crayon to scribble with: with little consideration for the colour at all. After experimenting with ways of combining colours (shown below) the team “looked at ways of dividing the logo into distinct sections which could each have its own solid colour”. They then chose to divide the letterforms based on how the handwritten letters flowed together and devised multiple colourways that could be chosen from. One of the six colourways is shown below. Rudd however “did not feel that these connections [to show ITV as a positive part of many people’s lives in the UK] were strong enough with the range of six colourways.” “I suggested that we embrace colour wholeheartedly, with the five parts of the logo drawing colour from their environment,” explains Rudd. It is at this point in the team’s process, although I understand the choices made, that I feel they went a little too far. I much prefer the subtle shades in each developed colourway, than the bizarre assortment of chosen colours that feel like they have been thrown together.  The saving grace of this identity, however, comes in its ‘colour-picking’ function and its subsequent appearance on screen. The idea that the brand both blends into, and stands out from, the medium onto which it is placed, is to me its stroke of brilliance. When viewed on screen it instantly becomes inspiring and colourful without being loud and in-your-face about it. to see what others see in it. In comparison, the BBC’s logo seems far too formal, boring and almost dated. Rudd and the team’s logo undeniably captures the fresh and contemporary feel of a modern brand marque. However, the curious use of colour in the main ITV logo isn’t my only frustration with the new ITV brand. As a regular viewer of the channel, I would consider myself as part of their ‘primary audience’. I’m not afraid to admit that I’ve always been a fan of Coronation Street and The X Factor, for example. However, as ITV’s new brand aims to establish itself “at the heart of popular culture” I find myself frustrated with the way it expresses the words “pop culture”. I understand the creators’ need to reflect the nature of the channel’s programming schedule, even if it is a schedule jam-packed with ‘trash telly’, but a typeface named after a reality TV show catchphrase to accompany the already childish colour palette? Really? I, personally, find the assumption ITV has made about its target audience quite arrogant. It seems to me like ITV hasn’t taken the implications of this rebrand for the future seriously. Although the previous ITV brand is astonishingly dull in comparison, I can’t help but think that it had at least one thing going for it; longevity. Will ITV viewers still be watching TOWIE, Dancing on Ice or even The X Factor in another 12 years time? I hope not. I’d like to think that ITV’s plans for the future are more meaningful than merely reinventing reality TV. Will the ITV brand stand the test of time and continue to reflect the values for which it stands? Perhaps. The ‘colour-picking’ function devised by the ITV Creative team could well prove to be its saviour. I just hope that the programming does not continue to become increasingly trivial in order for ITV to find a place for itself in between the “informative BBC” and the “provocative Channel 4”, even though the naming of their custom typeface may have already confirmed my fears. So does the brand achieve all that the team hoped to establish; to “show ITV as a positive part of many people’s lives in the UK?” In my opinion, no. The chosen colourway combined with the naming of what is a very unique, modern typeface may alienate many of those who enjoy flicking over to ITV to watch the odd bit of light entertainment or fans of ITV past, broadcasters of some quality drama series and landmark documentaries such as those for Exposure. In its choice of scheduling, I can only see this separation becoming increasingly prominent. However, regardless of its evident shortfalls (it is indecipherable when it is shown small for the ITV News or in the top left hand corner during football broadcasts) I’ve come to understand peoples’ fascination with the logo itself, especially after understanding ITV Creative’s artistic process. If anything is to be learned, this momentous project has demonstrated that ITV Creative is a very talented agency in its own right and I look forward to seeing where they go from here. I still can’t stick those colours though.